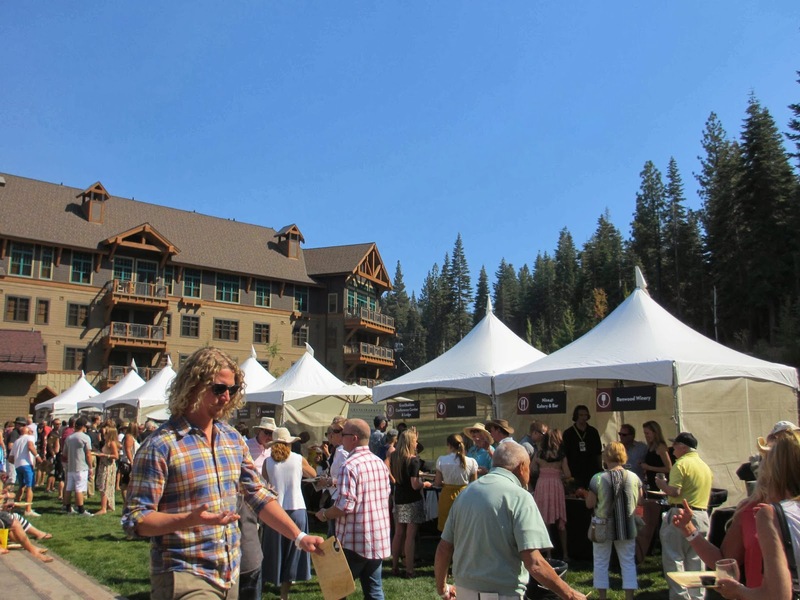 One of the wonderful things about the Grand Tasting at Northstar, part of the annual Lake Tahoe Autumn Food and Wine Festival, is its timing. This is the festival for serious foodies and wine-drinkers, held outside the rush of summer activities. 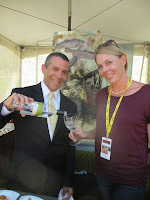 At this Grand Tasting, too, you find wines that will definitely be available for enjoyment for the coming months. 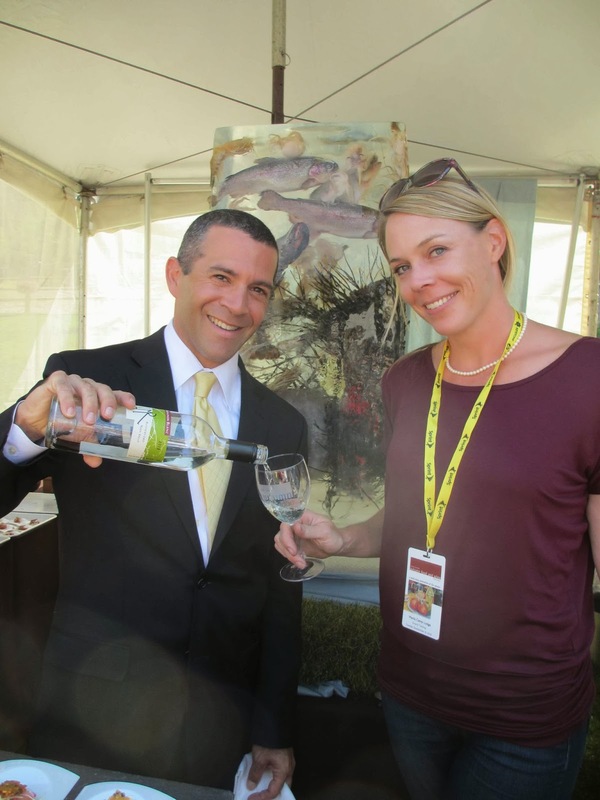 Twenty-two wineries were paired with purveyors of good food from the region, including restaurants, caterers, and resorts . 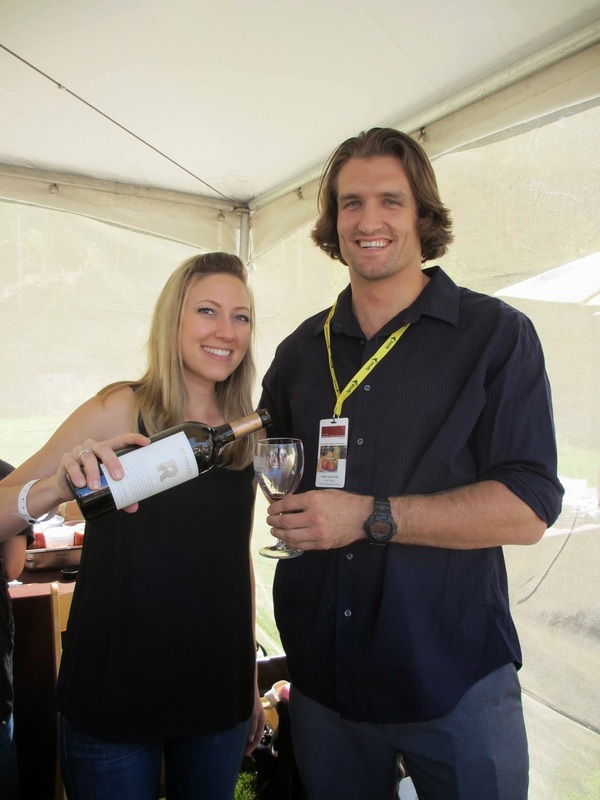 ZD Winery poured its 2012 Chardonnay, California. The winemaker at ZD has developed a signature style of rich yet balanced fruit-driven Chardonnays. The aroma reaches out from the glass and is redolent of bright tropical fruit, and you may also note some vanilla and orange blossom too. You’ll taste a full-bodied chardonnay with primarily pineapple and mandarin notes with a bit of lemon. This wine has great natural acidity and yes, it is oakey, but the oak is subtle. 13.5 per cent alcohol. $37/bottle at www.ZDwines.com. Davis Bynum 2011 Pinot Noir, Jane’s Vineyard, Russian River Valley, Sonoma County. 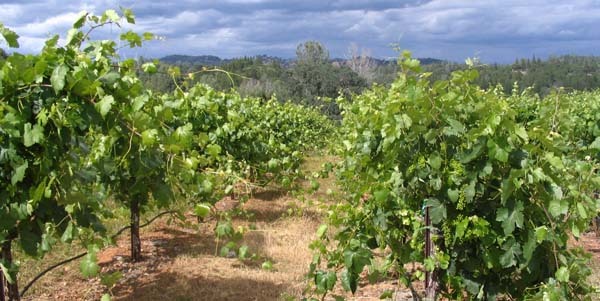 According to the winemaker, Jane’s Vineyard is in the golden triangle of the “Santa Rosa plain” region of the valley, an area that has iconic local climate for grape growing. The result is a wine that is food friendly, a little lighter than many Pinot Noirs, fruit-driven and crisp with a round soft mouthfeel, from aging in French Oak barrels. 14.5 percent alcohol. $35/bottle at www.davisbynum.com . The 2011 Sonoma Coast Pinot Noir, CrossBarn, is a project of the well-known Paul Hobbs. An aroma of wild berries and rose petals leads to layers of taste of blackberries and perhaps cola, with spice of vanilla and anise. Fine tannins and balanced acidity lead to a lovely long finish. 14.5 percent alcohol. $31.99/bottle at some internet sites. Sold out at the winery. If you wander over near Heavenly Village in South Lake Tahoe, plan to stop for dinner and wine at Gunbarrel Tavern . Newly opened under the guidance of Alex Cox, Gunbarell’s chef Billy McCullough produces food that is so beautifully paired with the wine list that you’ll want to sample lots of both. I began with white wines, and enjoyed the 2012 Ruffino Pinot Grigio. This is a smooth and fruity wine from Tuscany. The aroma is clean and intense, with notes of flowers, pears and golden apple, and a hint of sage and mint. Typical for a Pinot Grigio, it has minerality, yet the medium-body and structure shines through on the palate. This lemony-sagey crisp wine was terrific with the tuna appetizer. 12 percent alcohol. $7/glass. $28/bottle. My next white wine choice was a 2011 Sean Minor Chardonnay. 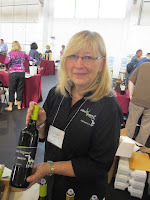 Kudos to Alex Cox for finding this winery; they produce wines in a cooperative production facility in Napa Valley and source their fruit from various family wine grape growers. This Chardonnay features a lovely balance of ripe tropical fruit flavors and the classic crisp apple and minerality you expect from Central Coast vineyards and grapes. It has an aroma of pear, apple and orange blossom, and a nice acidity with medium body that leads to flavor of apricot, green apple and toasty marmalade. 13.5 percent alcohol. $8/glass. $32/bottle. My first choice from the red wine list was the 2011 Seghisio Zinfandel. This particular vintage has rave reviews all over the internet! With fruit sourced from Sonoma, this Zinfandel is spicy with lush flavor of black fruits and in particular raspberry. It is balanced and elegant, with berry, mineral and toast nuances and good tannins. 14.8 percent alcohol. $14/glass. $48/bottle. The value deal on the list is the 2009 Lange Twins Cabernet Sauvignon. At $7/glass and $28/bottle, I am hard pressed to recommend a California Cabernet that is so delicious and yet so reasonably priced! The winemaker’s notes tell it succinctly: “Concentrated aromas of vibrant ripe cherry with a trace of chocolate. The aroma mingles with flavors of fresh cherry and dark blackberry notes which are balanced by a mellow spice from nine months of oak barrel aging.” 13.9 percent alcohol. The last red that I tasted is the 2010 Artesa Pinot Noir, Carneros Estate. This is a nicely complex Pinot Noir, with flavor of raspberry, strawberry and black cherry. The texture is indeed silky and intense, and there are hints of spices like vanilla, cedar and cinnamon to round out the palate. 14.4 percent alcohol. $14/glass. $48/bottle. 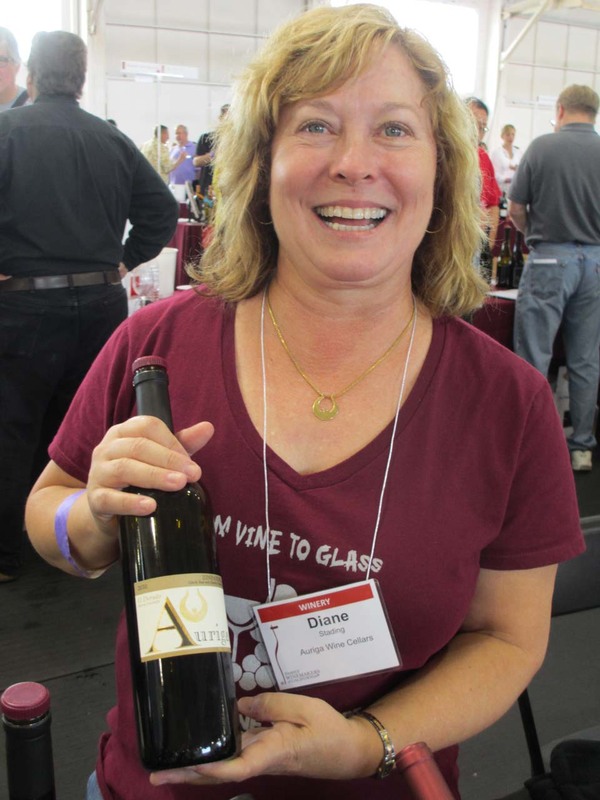 This review first appeared in my Wine Time column in The Tahoe Weekly on September 18, 2013. 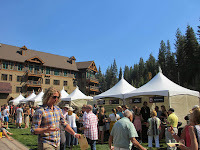 For a look at the many interesting places to Wine in the Lake Tahoe area, plus a variety of wine reviews, click here to go to the Wine Time section of the Weekly's website. Harvest reports are flooding the wine industry media now. If you are a buyer of grapes or a winemaker already, you know how to view these reports. 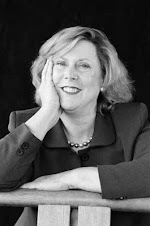 But for the “others” among us, the comments below from Elizabeth Standeven, who is the current President of the El Dorado Wine Grape Growers Association, give some perspectives that are useful and will enhance your appreciation of grower concerns at harvest time. 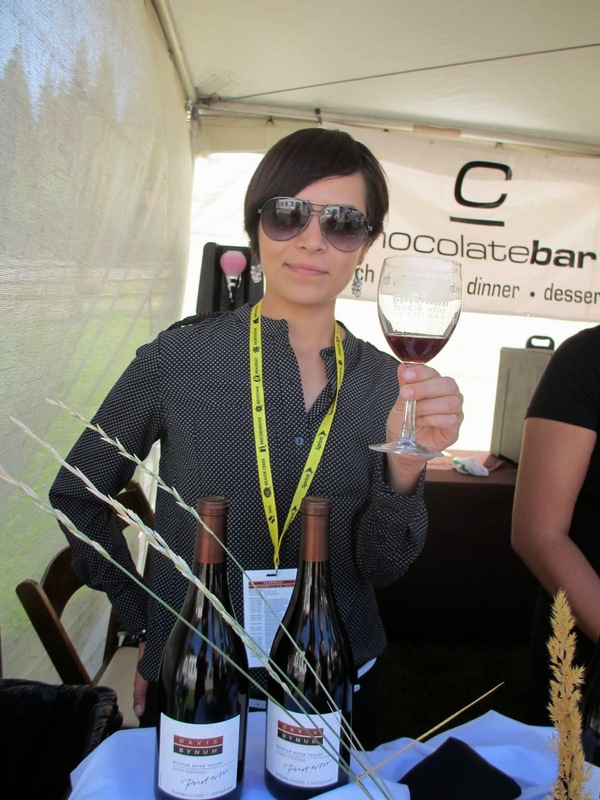 Elizabeth says, “One thing many growers (and wineries) tend to track pretty closely is Brix (a measure of how much sugar and therefore potential alcohol of the finished wine). Other things they should e tracking, but not all do, is TA (total acidity) and pH. “These 3 measures (Brix, TA, pH) plus favors in the grapes are generally what growers and wineries try to optimize at harvest........that said, the optimal range of each measure isn't always met, so that is where winemakers earn their pay. 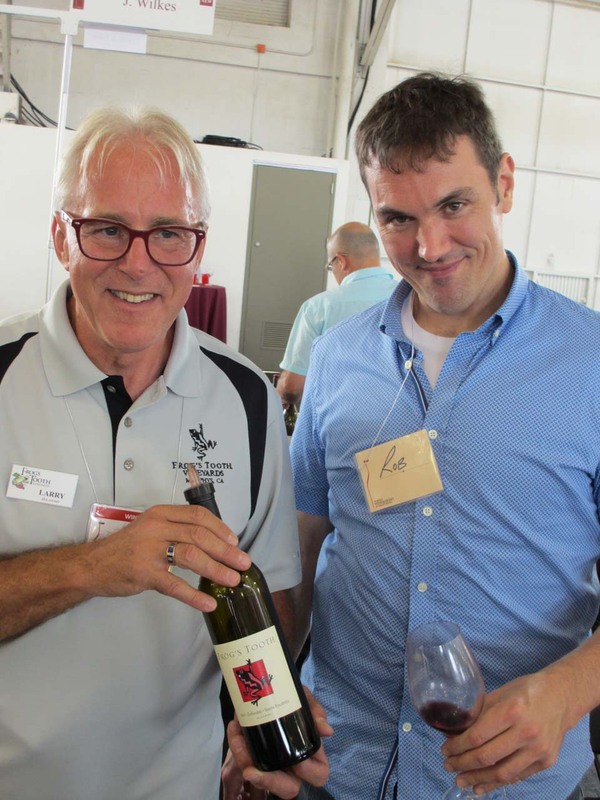 “In an ideal situation the grower and winemaker work together to decide exactly when to pick based on what these ripening criteria suggest would be ideal for the type or style of wine they want to make. Each winemaker has his/her own style and "tricks" they use to adjust the grape-must before fermentation...it's a matter of stylistic preference. · Crop load....not exactly cluster appearance...more of a broad brush how much crop is out there and whether it is ripening uniformly or not. · Bunch rot- lots of different kinds can also show up this time of year as the grapes soften just before final ripeness... these include several different kinds of molds and mildews that can attack, especially tight clusters or clusters that get rained on. 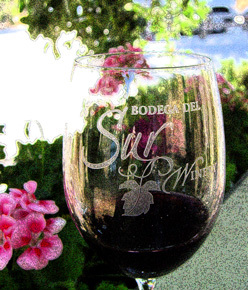 · Weather - too much excessive heat or rain this time of year can ruin certain grapes. · Birds and other critters eating your grapes - this year we are experiencing extra bird and turkey pressure on the grapes...at Shaker Ridge, we had to put out more bird nets, borrow the neighbor's dog to chase turkeys and we have our annual visitations from the neighborhood bear(s). · Hang time - for us, hang time isn't a concern usually....the grapes are ripe when they are ripe....if it takes too long to ripen (like in a cool year) then you run a greater risk of running out of good weather to fully ripen the grapes. At higher elevations and some later ripening varietals have more issues here. I am sure there are other concerns out there, but this is what was on my mind today! 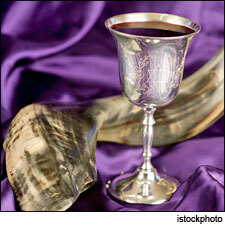 At the time of the Jewish High Holidays of Rosh Hashanah and Yom Kippur, there is much written in the wine press about Kosher wines. Regardless of your religious affiliation, these are fine and delicious wines. Try some. If they’re not available locally, shop on the internet. The list and commentary below was supplied by the experts at Wine Spectator Magazine. They rounded up the best and most budget-friendly kosher wine picks, from Israel and California, and scored them with their rating system. 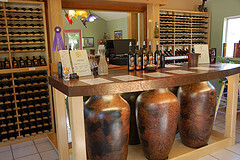 For more recommendations, see the full article at winespectator.com; the link is at the end of this article. COVENANT Chardonnay Sonoma Mountain Lavan 2011 Score: 88 | $38 A lighter style, with toned-down citrus, green apple, floral and spicy scents, ending on a delicate note. Drink now through 2018. 500 cases made. BARON HERZOG Chenin Blanc Clarksburg 2011 Score: 86 | $8 Tangy lemon, peach and apple flavors are ripe and juicy, with a smooth body and a lip-smacking finish. Drink now. 4,000 cases made. RECANATI Merlot Galilee Reserve Manara Vineyard 2010 Score: 90 | $25 Offers a perfumed, floral aroma, with nicely sculpted flavors of dark currant, plum tart, pomegranate and mocha. Medium-grained tannins give this backbone. Finishes with dark chocolate, raspberry jam and minty overtones. Drink now through 2016. 3,000 cases made. BINYAMINA Merlot Galilee Reserve 2009 Score: 89 | $25 Color is a sinewy red. Dried red fruit and crushed berry notes, and tea flavors are joined by bittersweet chocolate on the long, supple finish. Drink now. 3,000 cases made. BARKAN Tzafit Assemblage Judean Hills 2010 Score: 88 | $34 An interesting mix of sage, sandalwood and wild currant flavors that have notes of raspberry jam and iodine, followed by a long finish of pepper and cardamom. Marselan, Caledoc, Carignane and Pinotage. Drink now. 250 cases imported. My thanks to the editorial staff at the Wine Spectator for supplying this information. To read the complete article, go towww.winespectator.com/webfeature/show/id/48825. This article appears in the September 12 issue of my column Wine Time, for the Tahoe Weekly newspaper, http://theweeklymagazineonline.com/category/dining/wine-time/. 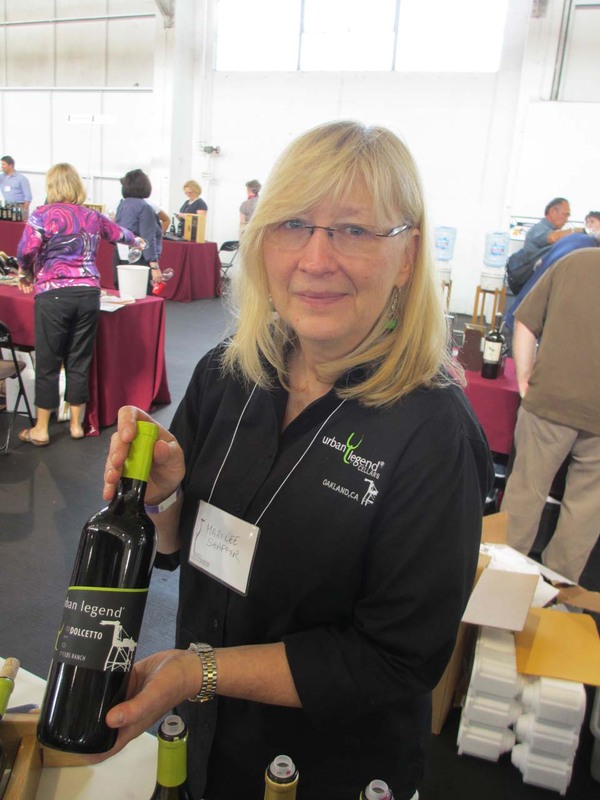 The Family Winemakers of California annual tasting in San Francisco is a first-class tasting event, focusing on the many good wines that come from small and medium sized wineries. I tasted dozens of wines and recommend the following. Most are available directly from the winery, some are available in wine shops, and a few sell out quickly – so don’t delay ordering if these sound good to you. 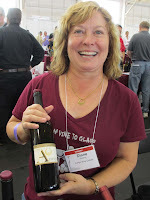 Jana Harvey of Scott Harvey wines, Amador County and Napa, poured their 2010 Zinfandel from Ancient Vines, the “1869”. This Amador wine is a briary zin with flavor of deep blackberry, fig, pomegranate, and violets. The hint of coffee and currant make it truly delicious. 14.5% alcohol, $45 the bottle. 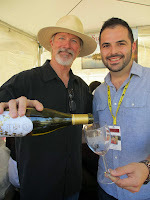 www.scottharveywines.com. 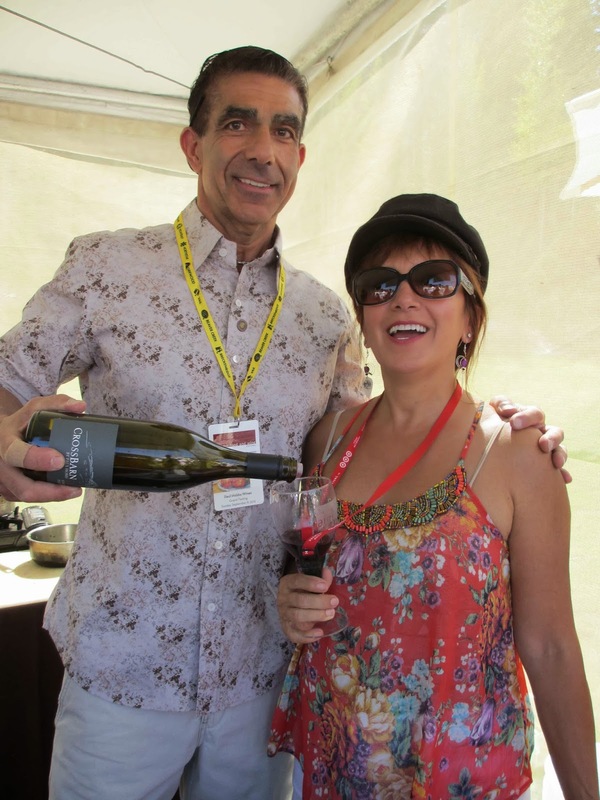 This review first appeared in my Wine Time column in The Tahoe Weekly on September 4, 2013. The boating season at Lake Tahoe may be almost finished, but the wine drinking season is not. That is clear from a visit to the Wine Village at the Concours d’ Elegance, the annual Wooden Boat Show held in August 2013. It’s always delightful to see South African wines at any tasting, the Barista 2010 Pinotage from the Paarl winegrowing region not far from Stellenbosch featured a burst of intense rich coffee and chocolate aroma with ripe taste of mulberry, plum and Maraschino cherries. Pinotage is a flagship South African grape, created from a cross of Pinot Noir and Cinsaut. It is always deep red, a bit smoky and earthy, sometimes with tropical notes. Once you’ve tasted it, you’ll never forget it. 13.5 per cent alcohol. On the internet, it sells for between $12 to $15 a bottle. A pleasant surprise was a ready-to-drink Sangria. Although it seems a bit spend-thrifty to pay wine prices for something that is mostly fruit juice, it certainly is tasty and provides all the convenience you’d want for a summer boating party drink. This Eppa SupraFuta Sangria is a red wine blended with pomegranate, blood orange and acai juices with some natural citrus essences. Serve over ice and add fruit slices for visual effect. Only 8.5 percent alcohol (remember, it is mostly fruit juice). www.eppasangria.com. www.winechateau.com has it on sale for $14.50 a bottle and you get almost one-third discount in case quantity. Go for it. Last but not least, a visit to Chile via Santa Rita 2011 Carmenere “120”. This is the signature grape of Chile, and this 100% Carmenere is a mouthful of spice and red fruit, nicely balanced, medium-bodied and with soft tannins. 14.2 per cent alcohol. Average bottle price on the internet is $8. For more information on dining and the wide range of activities around Lake Tahoe, see the online version of The Tahoe Weekly. This article appeared in my column "Wine Time" in August 2013. 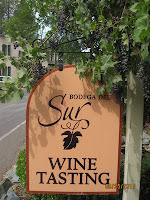 With kudos to the folks at Bodega Del Sur winery, in Murphys, Calaveras County, CA, I am re-printing the excellent piece from their latest newsletter, written by winemaker Brett Keller. It's a great explanation of this phenomenon! "Recently, Bodega Del Sur bottled some new wines for your enjoyment! During bottling, one of our crew asked, "What is Bottle Shock?" Well, there is a lot more to it than a clever movie showing California's dominance over French wine...! "Bottle Shock" is the term we use to describe the tumultuous journey of wine from the barrel to the bottle. After staying stationary for up to thirty months in oak barrels the wine is suddenly taken from its slumber, moved to a tank, filtered, and pumped gently to the bottling line where it falls with gravity into the bottle. It's kind of like being rudely awaken from a good sound sleep and being thrown into a lake! During the process of bottling we are also adding sulfites as a preservative to prevent spoilage and amend sulfur dioxides that naturally occur in wine. As we bottle the wines we treat them as gently as possible with slow movement of the wine, minimal use of sulfites, and almost compete lack of contact with oxygen, which can oxidize the wine too quickly. Despite our best efforts, all the components of the wines that came together over the last couple of years tend to be a bit shaken, and they temporarily become a bit disjointed... When the wines make the bottle we use inert gas and a vacuum sealer to cork the bottle to protect it. Once the bottle is corked it is almost an impermable vessel, other than the slow movement of tiny amounts of oxygen that passes through the cork. "Bottle Shock" will generally last for a period of three to six weeks, after which time the wine tends to recompose itself and once again prepare for its long cellar sleep, until you, our valued customers, have a chance to taste our efforts. We release our wines after the period of "Bottle Shock" has run it course, during which time we are frequently checking its progress towards readiness. 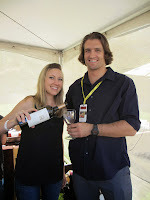 Until next time, Brett Keller, Winemaker"